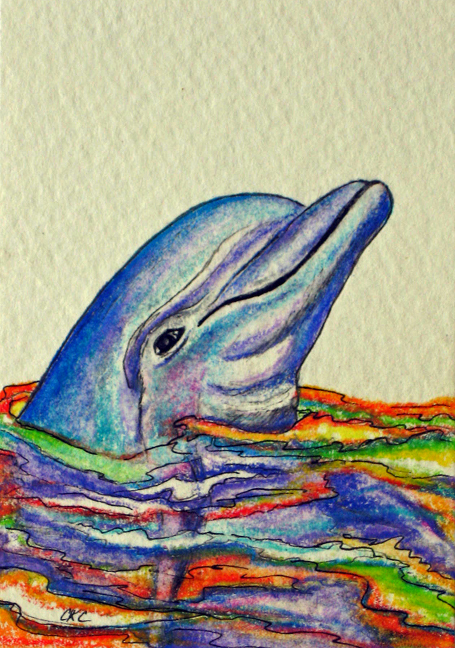 What a fun time I am having creating colorful dolphin and tropical fish art cards using a set of 72 lovely Prismacolor pencils my daughter gave me for my birthday. 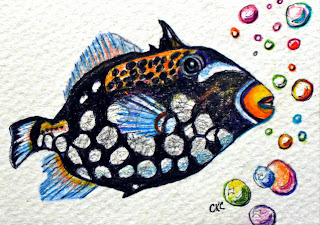 These fantasy cards are flowing and bubbling with rich hues and on SALE in my eBay gallery. I worked in the marine aquarium field for 12 years as a biologist and enjoyed all the aspects of caring for tropical reef fish and sharks. Creating my Dolphin Doodles and Sea Scribbles series, brings back a flood of wonderful memories. I even purchased J.D. Sachs Marine Aquarium Version: 2.6.2 app for my iPod and enjoy listening to the gentle bubbles and viewing the beautiful fish swimming about, as I'm coloring mine. 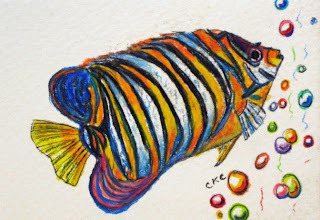 Naturalist/Artist with a passion for color! I have devoted many years to animal behavior studies and nature observations. Paintings that I produce include: realistic representations of flora, fauna, seascapes, landscapes and fantasy renderings. My subjects range across nature. I create works in watercolor and archival inks as well as acrylic and occasionally graphite. 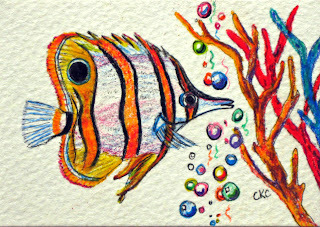 I thoroughly enjoy producing miniature art cards - ACEO's.